Once you dive off the cliff of common sense and go free-fall with your first book, ideas keep popping up for other books. In my case, readers have suggested ideas for more books than I can easily write this year. 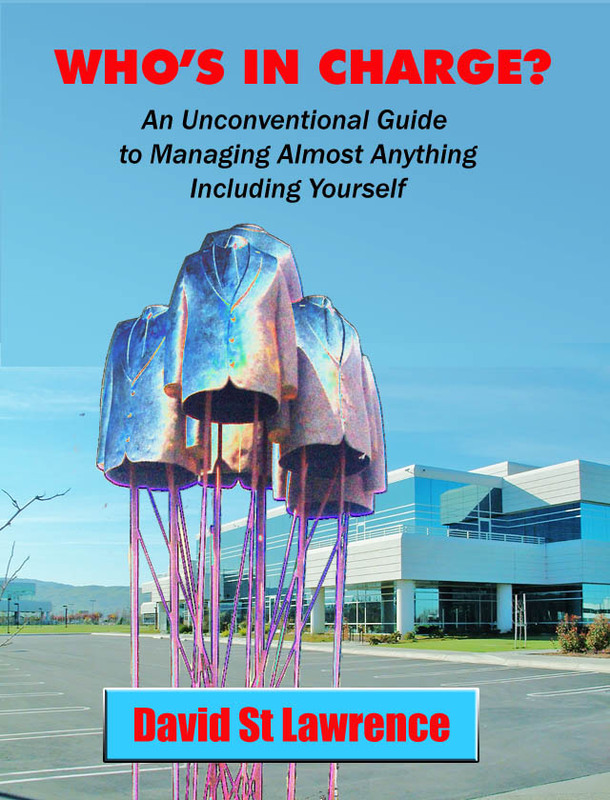 Since I have yet to break even on my printing costs for Danger Quicksand – Have A Nice Day, it might seem like sheer lunacy to be considering a second book in a series of unconventional guides to the world of work. Be that as it may, I am already beginning a move to place a second book, Who’s In Charge?, online in the next four months, as well as a CD of the first book. Some of you may recognize David Currier’s sculpture from my earlier post, Business As Usual. He is helping me in the development of the cover design and we have already begun discussions about the possibility of a desk-sized version of this sculpture or an adaptation of this sculpture as originally suggested by Lloyd Lemons. As always, your comments and suggestions are welcome. If you have topics that should be included in this book, leave a comment or send me an email. About sixty-five percent of the book has already been written. There is plenty of room for more material. I will try to address the various themes in the book in future posts. Very savvy, David, very savvy!